Responsive Web Design | Innovative Network Solutions, Inc.
INS provides cutting edge, multi-device design for any website. Ever get frustrated by websites that don’t scale or display properly across all devices? Yeah, us too. Innovative Network Solutions specializes in Responsive Web Design (RWD), ensuring that your customers get enjoyable, easy-to-read access to your website no matter what it’s viewed on. By using RWD, you don’t have to worry about your mobile website involving pinch and zoom frustrations. Every platform will display your company’s content with style and clarity. Whether your customers are at home or on the go, the responsive design used by INS will get them the information they need in a way that is refreshing, engaging, and – most importantly - efficient. 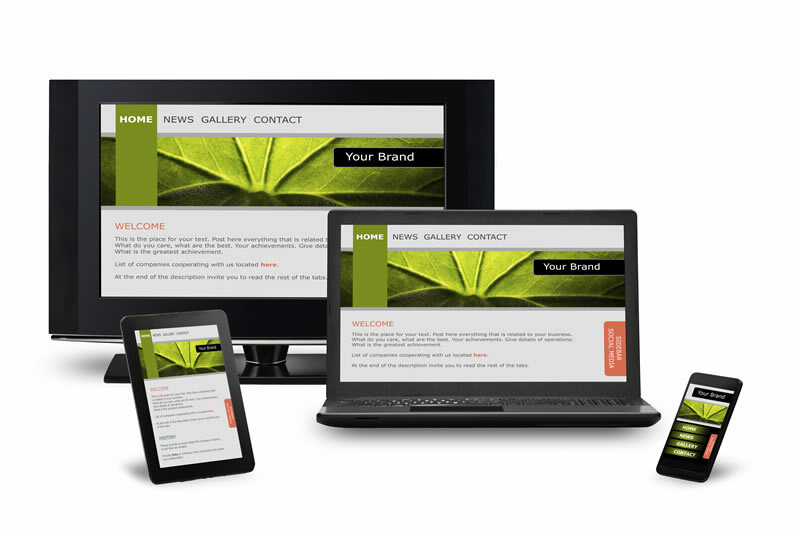 A responsive design means that your website and content will automatically scale to any device it is viewed on, preserving the aesthetic message and design branding that you have invested in. Our technicians are highly specialized in SEO/Analytics-driven RWD, and we will make sure that your mobile website shines. Whether your clients are on their desktop, tablet, or smartphone, you’ll know that they are getting an optimized experience that makes their visit to your website an intuitive and enjoyable investment of their time. And what's more, you'll enjoy Google's good graces; they have officially recommended and endorsed responsive design. Instead of separate designs and pages for every resolution or platform, Responsive Web Design ensures that the user experience is unified, making content more memorable and easier to digest. Nobody wants to visit a boring, uninspired mobile website, much less have to sift through relentless waves of information that nobody has time to wade into. INS employs a contemporary, fresh, responsive design in all of our web development, ensuring that your customers find what they want, when they want it, and come back to visit because they enjoyed the experience. Most IT companies charge for every individual service as a separate transaction. INS is not like most IT companies. We pride ourselves on providing the most cost-efficient means of IT service in the industry via our fixed price maintenance system. One, fixed monthly payment gets you UNLIMITED on-site hours, including repair and ongoing support. For your website needs, this also means you are only paying for one site, even though you are getting four different versions (laptop, desktop, tablet, and phone). Here at Innovative Network Solutions, we believe that a desktop or mobile website is only as effective as it is easy to maintain. Responsive web design means little if the owner of the website finds it difficult to operate and update. Your website will be built using a single code base, meaning that even though it is deployed everywhere, a single update applies across all devices. INS not only promotes responsive design with a focus on easy maintenance, but we include ongoing support on our end in the pricing. Clean, concise, and consistent, our clients enjoy RWD that provides content that moves with the reader and offers a relaxation and engaging reading experience. Our responsive design promotes discovery and enjoyment rather than overwhelming blocks of erratic information. Your website will be one that customers want to visit, not just for informational purposes, but for great content that is presented in a great way. Based in Farmington, Michigan and serving southeastern Michigan and beyond, Innovative Network Solutions specializes in computer and network support, web design and development, and computer sales for small businesses, credit unions, and non-profits. 2019 © Innovative Network Solutions. All Rights Reserved.